Why should you use a FENSA Certified Double Glazing Firm? Well, when installing double glazing or triple glazing windows, there are so many things you need to consider. With so many service providers in the market, choosing the right double glazing companies can be a daunting task. Although there are many service providers, you only want to choose the best company that will offer quality service at an affordable cost. 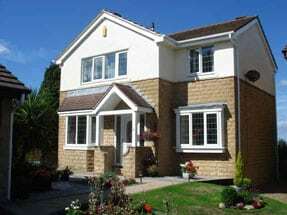 When it comes to choosing the best double glazing company in UK, many homeowners usually wonder why they should choose the company that has been registered by the FENSA (the Fenestration Self-Assessment Scheme). A FENSA Certified Double Glazing firm is regularly assessed by an independent inspection body. All the companies registered by the FENSA must meet the minimum set standards and expectations. By hiring firms that is registered by FENSA, you are assured that you will get quality work. FENSA registered companies know that your home is probably one of the biggest investments you have made in your life, they will work hard to improve the value of your home. Probably, many homeowners do not know that a FENSA Certified Double Glazing Firm provides the longest guarantee. Companies that offer a decent guarantee are reputed for providing quality services. FENSA companies work hard to provide quality services, and in case anything sinister happens within the period covered by the guarantee, they are always available for a free redo. You will not incur any cost if anything awful happens within the period covered by the warranty. A FENSA Certified Double Glazing Firm provides unwavering support. They provide indispensable customer services such as mediation and bespoke van signage if there is a dispute between the contractor and customer. If you are not satisfied with the services, you can make a claim to the FENSA as long as the contractor is FENSA registered. A FENSA Certified Double Glazing Firm is trusted by local authorities, government and many homeowners. FENSA firms are the most successful double and triple glazing service providers in UK. Whether your home was traditionally designed or it is a modern designed home, FENSA firm contractors will inspect your home and come up with the best design and material that will seamless blend with your home. They use top quality materials that will last for years. For homeowners who may have installed double glazing windows with other companies not registered by FENSA, they know how hectic the registration process can be. With the FENSA registered companies, the registration is made completely easy. The FENSA registered companies can self-certify their work and also issue FENSA Building Regulation Certificate. This will save you a lot of money and time. The certificate will be issued immediately to ascertain that you comply with the law. If you lose your certificate, you can also reorder. With FENSA companies, all things are made quite easy for you. It has issued more than 10 million door and window homeowner certificates and is the leading in double glazing industry. If you are planning to install or repair double or triple glazed windows, you should first inquire that FENSA registered. The Advanced Group is FENSA registered double glazing and triple glazing company. The company complies with all the FENSA regulations and works hard to offer quality services that meet 100% customer’s satisfaction. Call us now to see what we can do for you. Alternatively, fill in the form and we’ll be in touch with you soon.